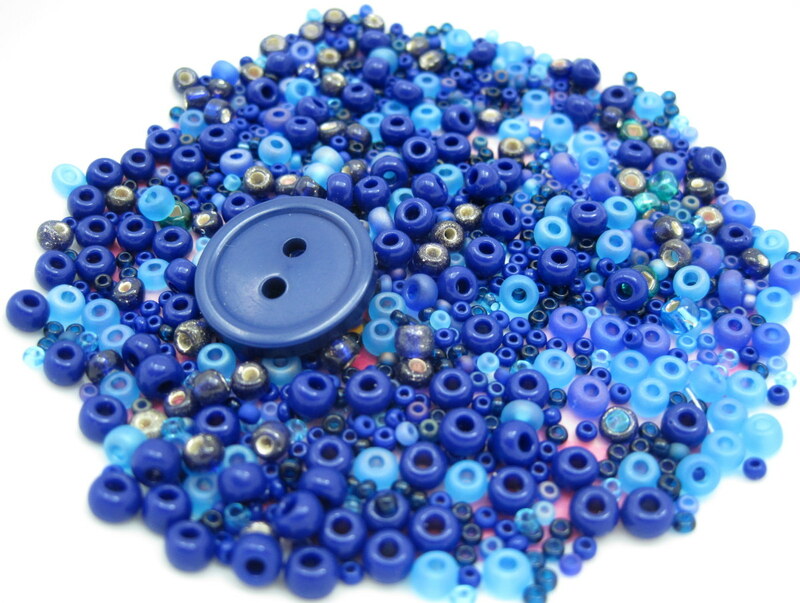 One of the most frequently discussed aspects of selling homemade crafts is pricing products. Even with great formulas and strong market research, it is still a tough issue, especially when are just starting out or introducing a brand new product line. It took me a long time to feel comfortable with my pricing. I still make adjustments from time to time and have to consider new areas of the field as I continue to introduce new products. In this article, I have compiled some of the best research that I could find and provided my own insights on the subject as well. Part of a Series From www.craftmarketer.com About Pricing Crafts. The following formula is one of the most commonly used formula for pricing crafts. With the retail conversion, it allows artists to make at least 50% profit margin. It is a good idea to keep a wide profit margin so you don't risk losing money through sales and other promotions. Be honest with yourself about the cost for all of your materials, how much time it takes to make a piece, and how much your time is worth. To figure out the retail price, many people recommend multiplying the base price by 2.5 or 3. You may want to round this total up to $19.00 to keep things simple. The above formula does not take any of the following fees into consideration. Whether you are selling online or at local events, such as craft shows, it is important to take additional fees into consideration. When you are selling at craft shows and other local events, it is important to consider state taxes and credit card fees. Sales tax varies from state to state. This information can be easily accessed online. The type of credit card reader that you choose will determine what your credit card fees are. For me, typically state sales tax + credit card fees = almost exactly what Etsy + PayPal fees cost so I almost always keep craft show fairs and Etsy prices the same. This may not be true for you so run the math before you set local pricing. 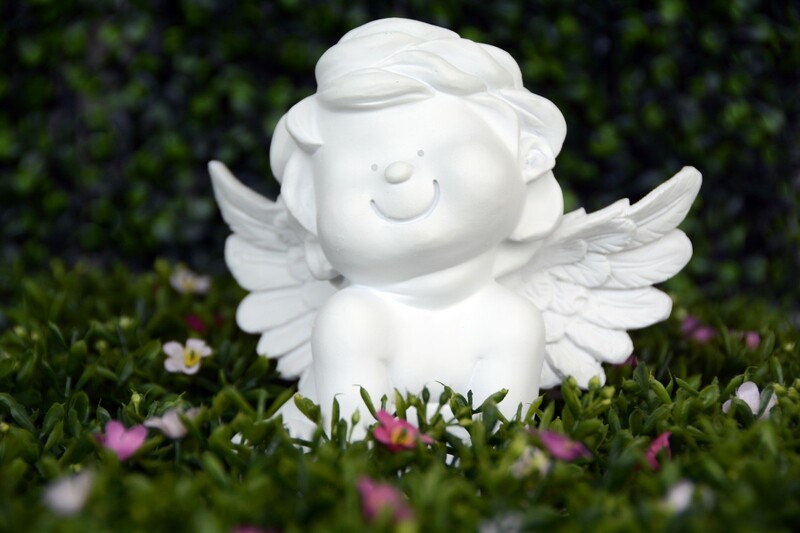 When you are first starting out with selling crafts or are offering a new product line, it can be helpful to compare prices for similar items. oh my handmade recommends not lowering your own prices to meet the prices of your competitors unless you can find a way to meet this price point and not lose money. Sometimes competitors are offering cheaper products that you are. You may stay ahead by providing a higher quality alternative. On the other hand, some competitors may be offering expensive one of a kind versions. You will be able to provide more affordable, just as high quality alternatives. Either way, don't sell yourself short. 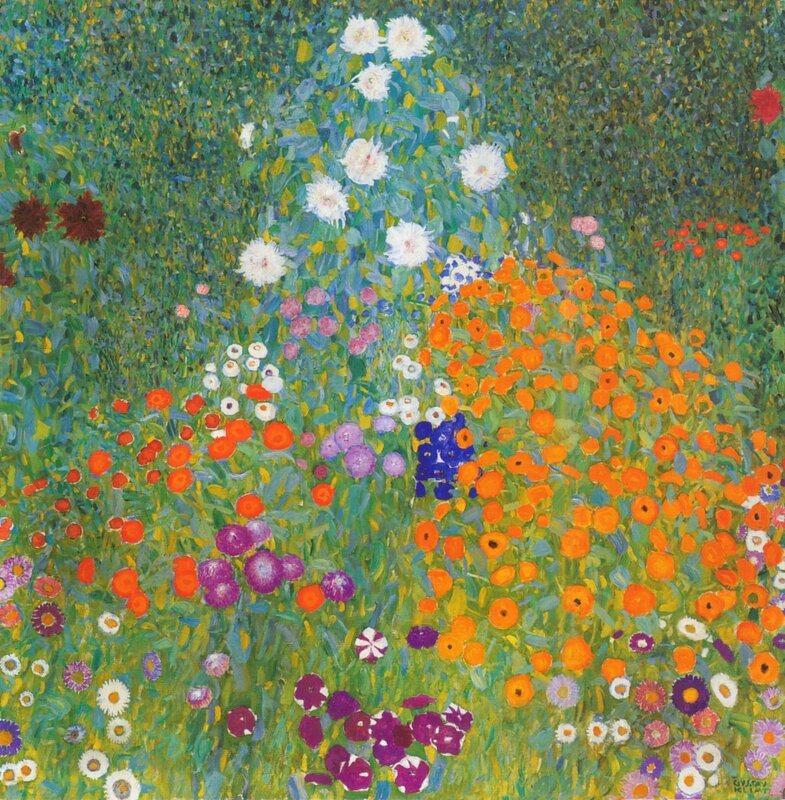 A number of artists offer bulk and wholesale pricing. This can be applicable for consignment deals, other local boutique offers, large events (i.e. conferences, conventions), weddings, and much more. It is entirely up to you whether you want to offer this and what your pricing scale will be. Here are some of the most common options. Orders of 25 sets or more will get the x 2 pricing per box. Orders of 50 sets or more will get a x 1.75 pricing per box at $13.03 per box. 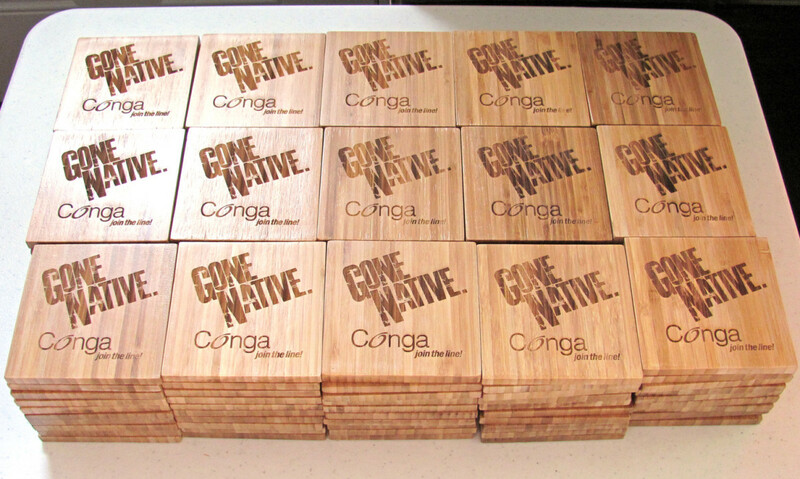 Orders of 100 sets or more will get a x 1.5 pricing per box at $11.18 per box. Whether or not you sell wholesale, I highly recommend making a price sheet for yourself. When I started making greeting cards to sell at the beginning of 2012, I created my first price sheet after I'd worked out all of my new product prices. I get a number of custom requests, both online and in person (at shows, from family friends, etc. ), and it's really helpful to have all of those numbers on hand. One of the best ways to keep your prices down and still make a profit is to purchase wholesale supplies. When you are just starting out, this may be tough if you haven't narrowed your focus yet. 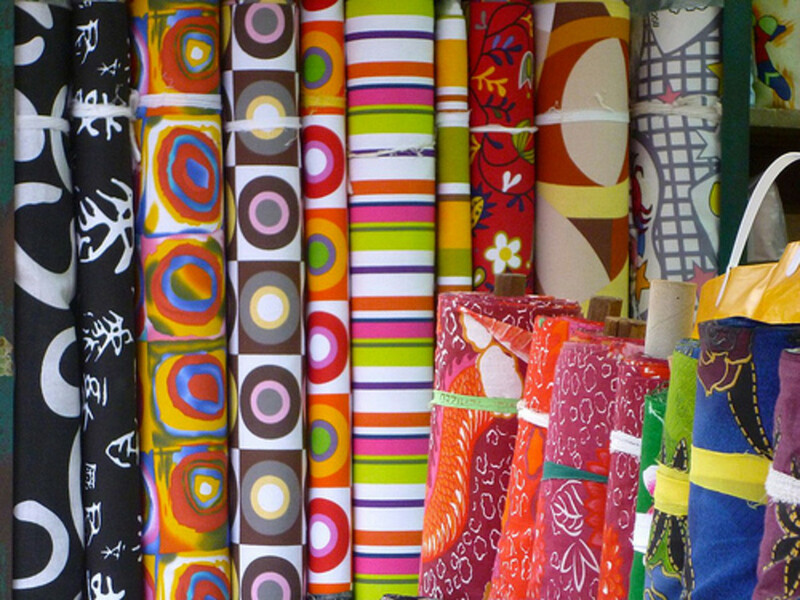 However, if you know that there are materials that you will use in large quantities, such as fabric or cardstock, it's worth doing some research about wholesale purchase options. Take advantage of other sales and deals as you can, too. For example, I always use at least one coupon when I shop at Michael's. \When Does It Make Sense to Offer Sales and Markdowns? 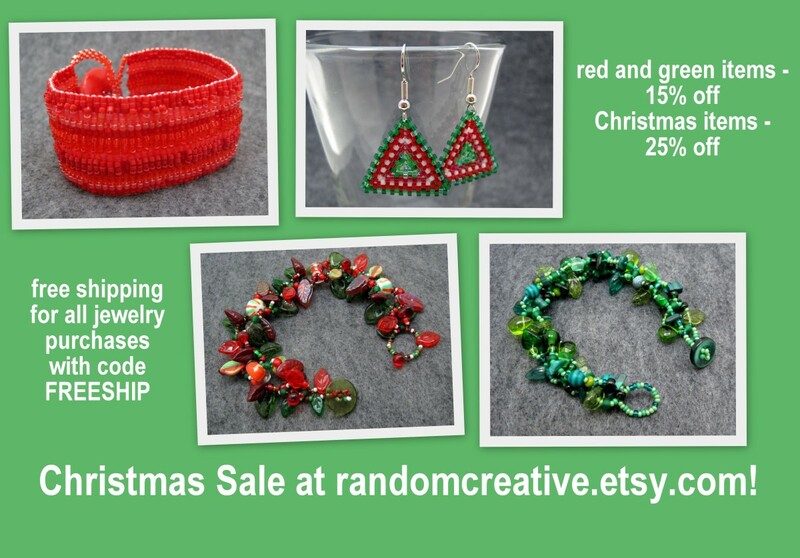 I offer my biggest sales on Etsy for the November/December shopping season, which is when I have the most sales of the year, and for Etsy's Christmas in July sale. I haven't found that it's worth doing big promotions any other time of the year. I do usually have a small sale section with some older items that I'd like to clear out, all of which are only marked down 15%. As a shopper, I always enjoy checking out a sales section, even if I end up buying elsewhere later. Unless you sell merchandise that will deteriorate over time (i.e. soaps, food products), I don't recommend heavily discounting seasonal merchandise. It is easy enough to pull it from your shop when the holiday or season is over and save it for next year. It isn't worth taking a big loss when you can sell it again next year. There is a lot of research out there supporting the notion that customers prefer free shipping over % discounts and other promotions. 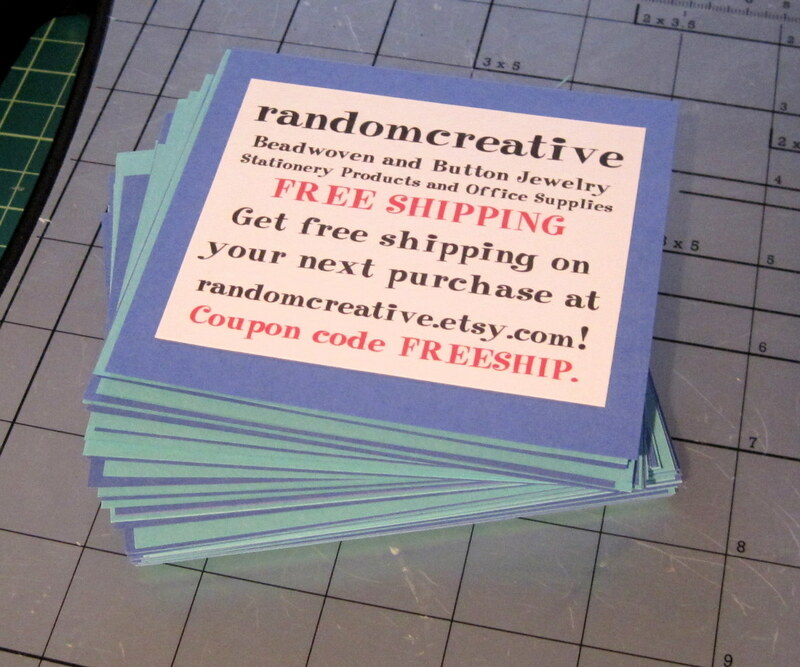 I give free shipping coupons to my return customers, a small portion of which do get used. I like to reserve free shipping for these customers and for the holiday shopping season and don't do a lot of other free shipping deals. If you decide to offer free shipping and bundle the cost into your item cost, keep in mind that a % of that total cost will go to Etsy and PayPal. Whatever shipping option you use, don't let it hurt your shop. Do everything that you can to keep your shipping costs as low as possible. Personally I offer very affordable flat rate shipping for all orders, which does not get complaints. However, don't be afraid to try different methods. What works for one shop may not work for another and vice versa. More advice about retail pricing for crafts. Personally I don't think that you need to make adjustments for inflation every year or even every other year. You may feel like you need to revisit your prices more often. Regardless, if you've been selling for 5 years or more and have made very little adjustments to your pricing over the years, it is time to re-consider. Pull out the tried and true materials + labor + overhead formula and look at similar items currently for sale. It is very likely that either your materials and/or overhead costs have increased during the last 5 years. When sales aren't going well, it can be very tempting to lower your prices again. Resist this temptation and consider raising your prices. While people are always looking for a deal, they are also looking for quality projects. When you sell handmade, you don't want people to think that your products are cheaply made with low quality materials. Even if you have the lowest price bracket for your sales category, you still may not get the sales. Be fair with your pricing and the sales will come. As a 10-year Etsy seller, I have read the book, How to Make Money Using Etsy: A Guide to the Online Marketplace for Crafts and Handmade Products, and highly recommend it. It's considered one of the best reference books on Etsy to date, and I suggest anyone with an Etsy shop or thinking about opening an Etsy shop to read and learn from it. In terms of pricing, how do you factor in the time when selling at craft fairs? Or do you not? Personally, I don't because I don't do a ton of craft fairs. It's definitely worth considering for your pricing, through. I love the information that you have given us, so much of it makes sense. keep up the good work. thanks Rose. This article helps me a lot. Thank you. I'm glad I read this because I'm thinking about selling some homemade items I'll be working on through this summer. I was wondering about the shipping costs, too, so thanks for these ideas and tips. I like the idea of Free Shipping for returning customers. I didn't think of that! Thanks, barbat! That means a lot to me. all I can say is Wow!!!!! Thank you for an extremely informative and lively article! Thanks, Book-Reviews! Honestly I don't get a lot of return customers using free shipping coupons, but some people really do appreciate it. The bold lines are just image files. Really useful article which I greatly enjoyed reading. 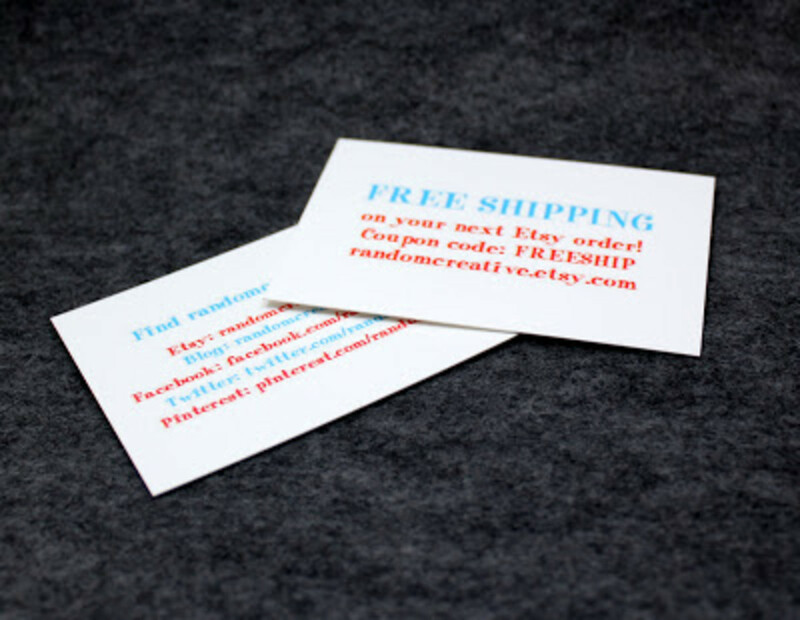 I thought your idea of giving free shipping coupons was particularly interesting and wondered if you'd noticed an increase in returning customers after you implemented this. Finally, I liked the bold lines you use to separate your sections - Do you mind teaching me how to put them in? Thanks, Aplethora! It is so great to hear that! I hope that it was helpful for you. Nice Article. I just did my final for my Marketing Class today, and the book "Handmade Marketplace" was actually one of our required texts for the semester. Very Cool! A wonderful hub and thank you for sharing. Sharon, it's great to know that much of the advice in this article is applicable elsewhere! I'm sure that your insight will be helpful to others. Heidi, you're absolutely right about overhead. It is something that all crafters and small business owners should always take into consideration when setting prices. Your discussion on pricing was very interesting!!! A lot of crafters forget they are in business and often do not charge enough for their work. One of the other factors that many crafters and small business folks forget is OVERHEAD, which are all the costs to run your business, no matter how small. I put that in all caps because they can kill profits in a hurry and can cost as high 10% to 25% of revenues or more, depending on the business. Thanks for helping out all the craft businesses out there! Voted up and shared! Interesting and informative! Love your hub! Thank you for the great resource and good read! Thumbs up! This is a great article Rose. When I used to do a lot of craft shows (in my younger years), I never really considered my time in the pricing (which is not a good thing). Currently, I own a small cafe, only since April 1, and I'm quickly learning some things that relate to your strategies here. Everything I sell is either food or beverages. The cafe is open during "business hours" Monday through Friday. I tend to want to mark down stuff immediately the next day-for example, a lunch special I have today such as pasta, etc., I have thought well, next day - it is day old and I'll mark it down. BUT, in many cases, there really is no reason to mark it down so quickly. Even in a grocery store where they have pre-made meals to reheat, they don't mark them down for many days until something is ready to be thrown out. I'm learning, since I am working with perishables and my cafe is not open on the weekends, that it makes sense to mark down things on a Friday but not necessarily earlier than that unless it is something that is going to spoil before the end of the week. If I have a lot of stock that I really need to get rid of, let's say bagged chips that the expiration is approaching - I will do a special such as "buy a sandwich, get a free bag of chips" etc. 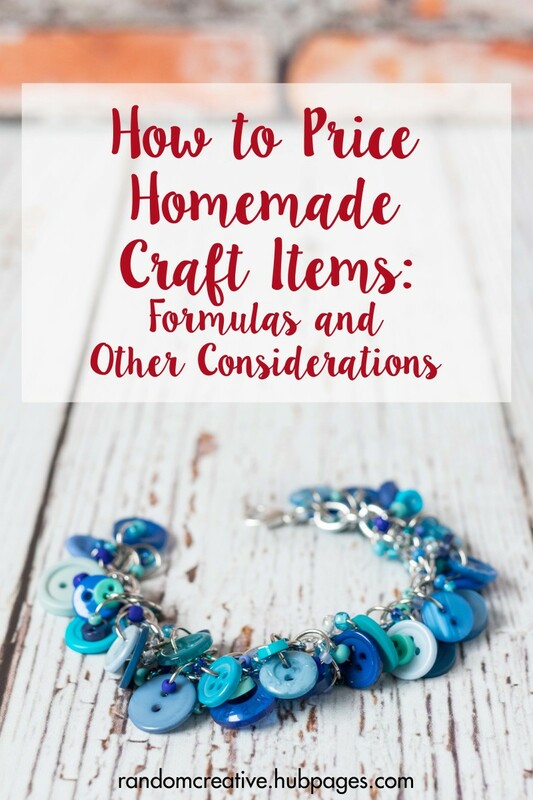 So, sorry for my rambling, my point is: this article gives great advice not just for craft products, but so much more as well. Nice job! I'm so glad that this is helpful for you, Donna! Very useful article. I am always wondering what to charge. I do not post duplicate content on HubPages. I have had this article up for months and have never been flagged. I don't know where you found that message, but I ran copyscape and am not debating this any further. "Maggie Miller This looks identical to the one Etsy has on their site...they even have a video on it. Even tho they charge a minimal fee to list & sell, I've found the support the site & the members in it provide is WELL worth it! " I just don't want you to get into the copyright thing or the duplicate content. That is all. I don't know where that person got that information, but you aren't going to find a more accurate resource than copyscape. Ok, then I hope that the person whom told me is wrong. Emmanuel, you're absolutely right that a lot of artists do underprice their crafts. So glad that this is helpful for you. livingsta, it's great that you gained so much insight from this article! Lady Guinevere, thanks for the shares! I ran copyscape on it and did not find any matches on Etsy.com. Oh not so good news here...Someone told me that this is exactly word for word the same that is on Etsy.com. You may be flagged for duplicate content. I have lots of people on my FB page and in some craft groups that I will be sharing this with. Thank You for clearing a lot of this problem up for us. Another very useful hub. I have always been wondering about online shops, with no idea of how they are run. This hub has given me an insight of how these work. Thank you for sharing your ideas. Voted up, sharing, pinning and tweeting! 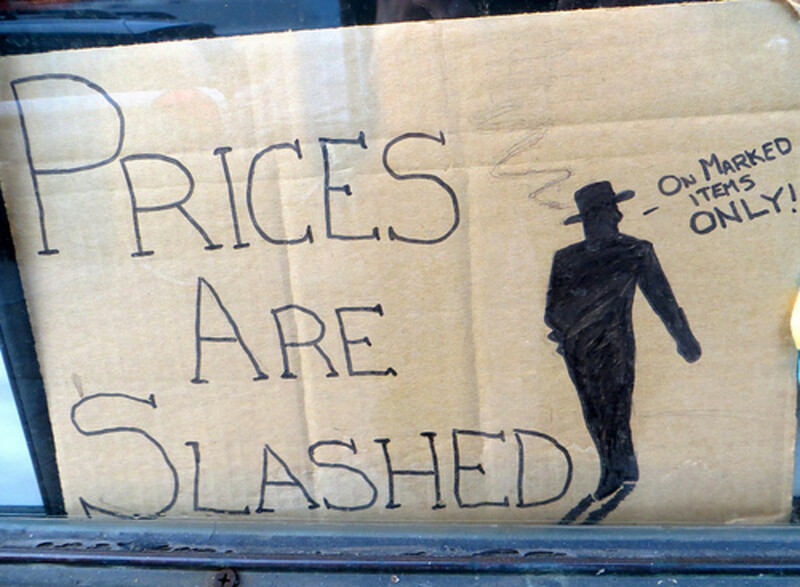 This is a great detailed hub on pricing - Pricing is a great headache for artists who most often underprice their crafts. Will definitely put some of the ideas to good use - shared! Many people face those same pricing issues all the time, Nicole. You're not alone! 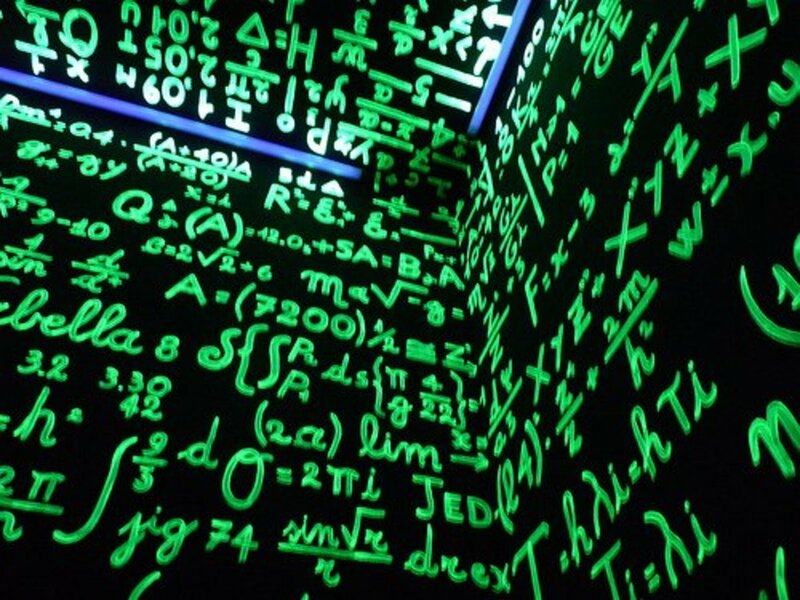 It is tough to factor those considerations into pricing formulas, but it is easier to adapt a formula than start from the ground up. Best of luck! I love this article. I love homemade items and love to craft myself. I always have requests to make crochet items for people needing gifts and this is very helpful as I almost ALWAYS have an issue coming up with a price. This is because I almost feel guilty pricing too high or too low, depending on how well I know the person, how long it took me, how much I wanted to make another for myself... thanks for the good read! That's great, Jan! Best of luck. Mtzgirl, that's great that you have this resource! Best of luck to your husband. 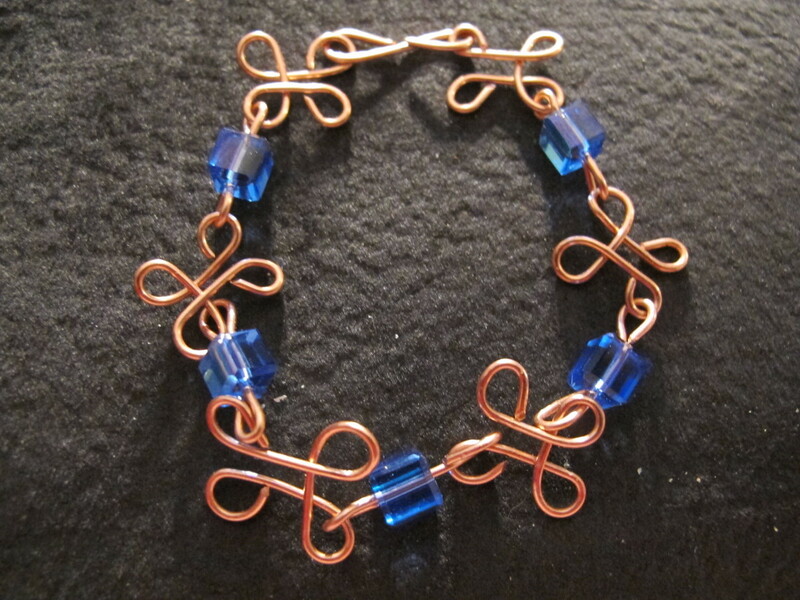 Hi Glass-Jewelry! I appreciate your interest in my article. As I primarily sell finished products and not craft supplies, this is not my area of expertise. I recommend joining Etsy if you haven't already and checking out their forums for advice on this topic. Best of luck! 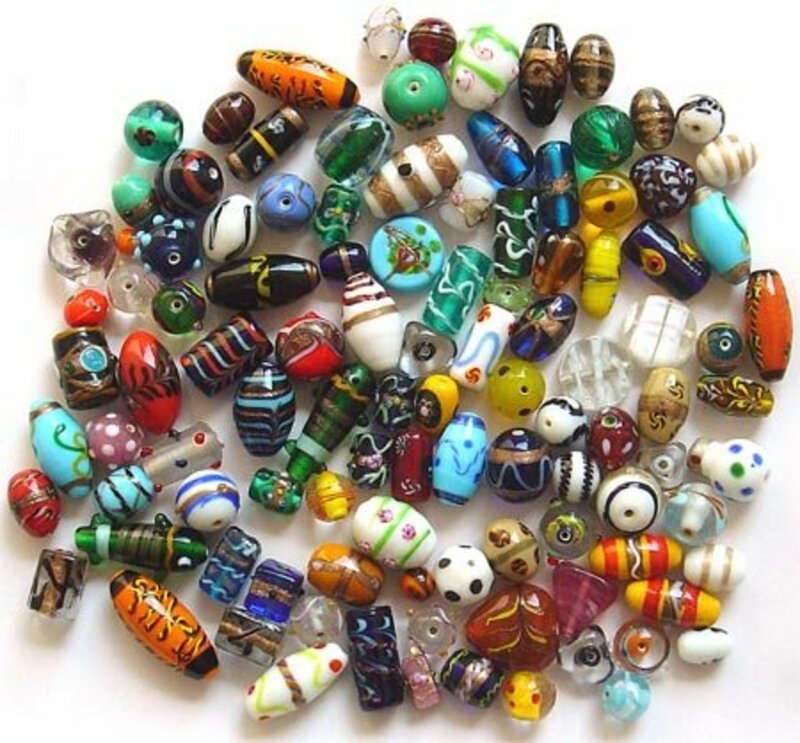 I was dazzled by your article, because I produce Murano glass beads in the style of Pandora, equipped and assembled with 925 silver cores, and reading your article especially what you say about Etsy, I got curious to know if it actually worth groped to sell our jewelry on Etsy. 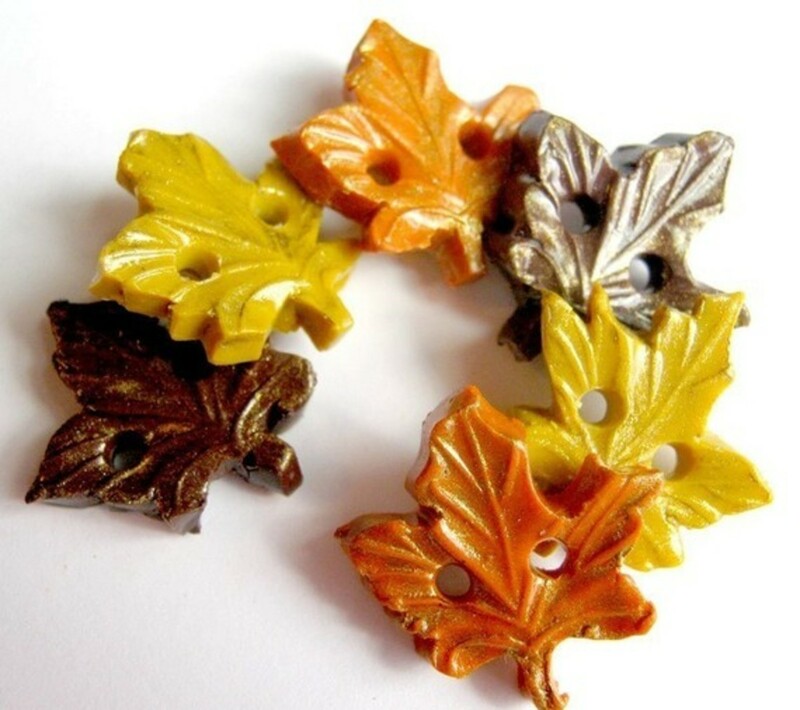 As regards the craftsmanship, our glass beads and our bracelets finished with various components can be considered in all respects as hand-made items, so art crafts. Which winning suggestions may give me to realize an effective sales strategy on Etsy as regards the Pandora beads and especially the finished bracelets of Pandora type? Thank you for all your recommendations and advices. 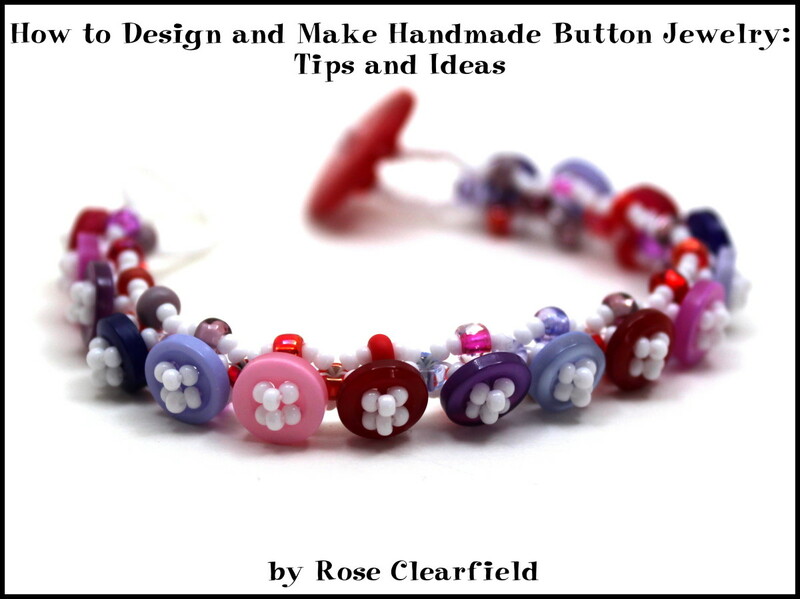 This is the most helpful article I've seen about pricing handmade crafts. Your guides are clearly explained and I appreciate the information about selling retail and wholesale. Voted up and pinned and shared! Great article. 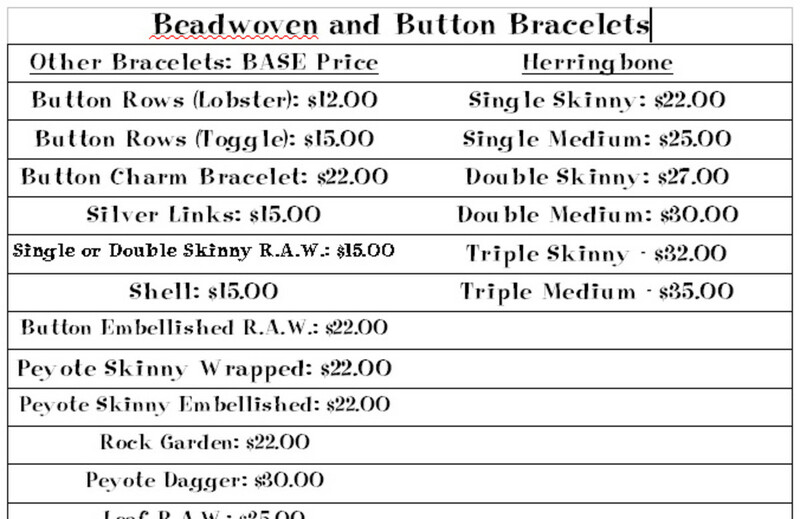 I am looking to sell some handmade items, and it's great to see a clear guide of how to price things properly. As you point out, it can be too tempting to mark your prices to be competitive with other sellers, rather than costing how much it will take to make a profit. This has put me off in the past... Definitely a useful little resource! You're welcome! I'm glad that this is helpful. If ever I sell any of my hobby items, these are excellent considerations for pricing them. I hope all the crafters on hubpages get to read your hub. Voting this Up and Useful. Very informative and detailed Rose! Thanks for sharing all of your tips! Thanks Ardie! I'm so glad that this will be a helpful resource for your mom. Im SO beyond excited that I found this Hub. My mom is constantly asking me how much she should charge for certain items at her craft fairs. Well I don't know - I don't craft! Soooo now I can use this Hub to help me give her some ideas :) Thanks! Thanks Jamie! I'm glad that this is helpful for you. You clearly have a passion for crafts so I'd give it a shot. Let me know if you ever have questions about anything. I'm certainly not an expert, but I'm happy to help in any way that I can. Thanks Giselle! PayPal's fees are pretty similar to what credit card reader fees are elsewhere. With the built in shipping feature, it makes selling online very easy and is well worth the fee. You just have to work it into the item price. 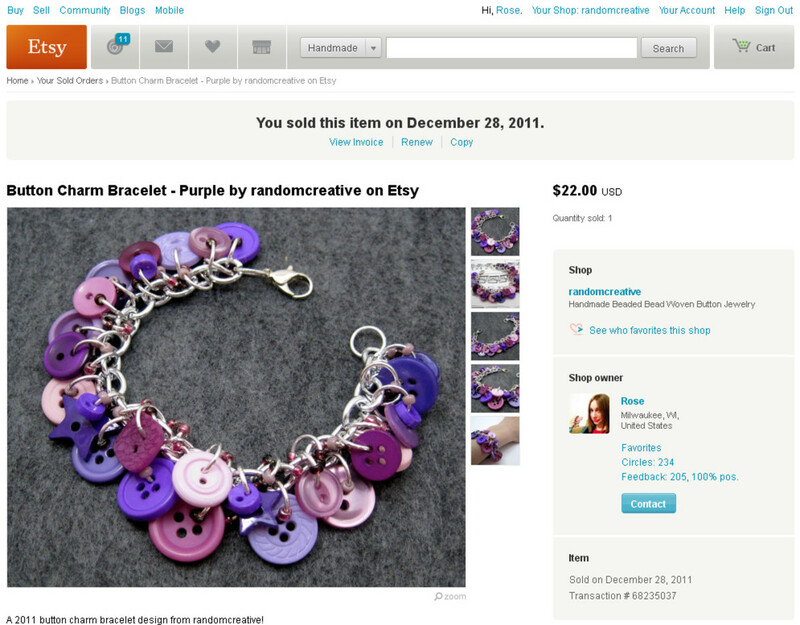 I'm not an Etsy seller myself (although I have bought from there). I was surprised at how high the Paypal fees can work out to be! 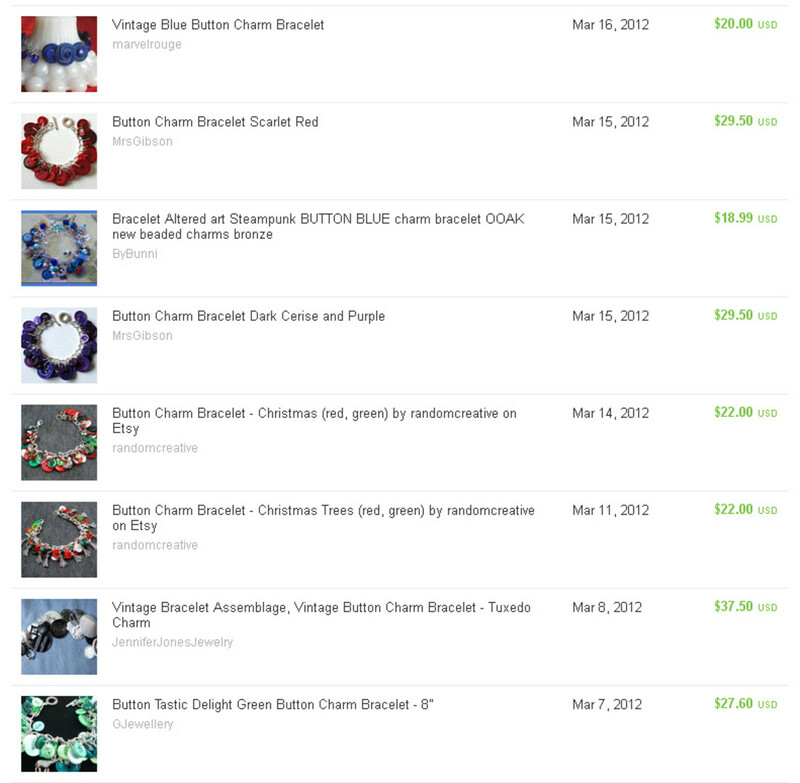 (On the other hand I was impressed at how reasonably the Etsy fees are). Thanks for this very interesting hub. Thanks Rose! I appreciate the great tips.. I had already thought about selling some things. Voting up and useful! I was going to bookmark but I can't find the tab since they changed everything up.. will put in browser bookmarks!